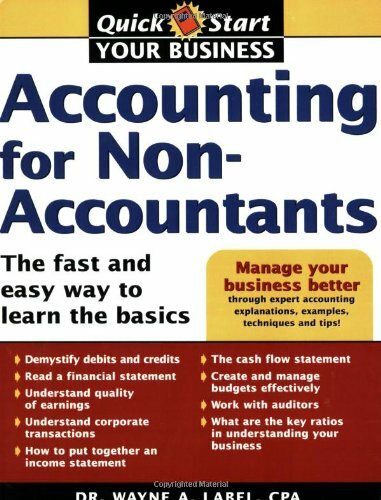 [PDF] Accounting for Non-Accountants: The Fast and Easy Way to Learn the Basics | Free eBooks Download - EBOOKEE! Description: Accounting for Non-Accountants is the perfect accounting guide for anyone who has never taken an accounting class, and has no idea what a balance sheet, income statement, or statement of cash flow is. Dr. Wayne Label covers it all, in a style that's easy to understand and apply. This guide will help you get your accounting system up and running and your business needs satisfied. Topics covered include: Income Statements Statements of Cash Flow Balance Sheets Assets&Liabilities Double-Entry Bookkeeping Debits & Credits Audits & Auditors And everything else beginners need to know For entrepreneurs or anyone who needs to brush up on accounting fast, this book is an essential resource for the businessperson's shelf. No comments for "[PDF] Accounting for Non-Accountants: The Fast and Easy Way to Learn the Basics".